The body is in a light aluminium die-cast. 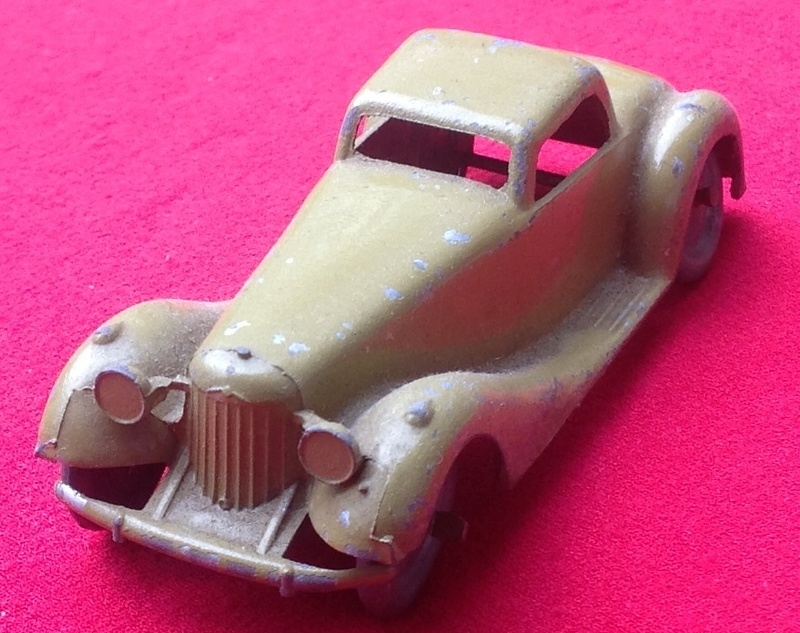 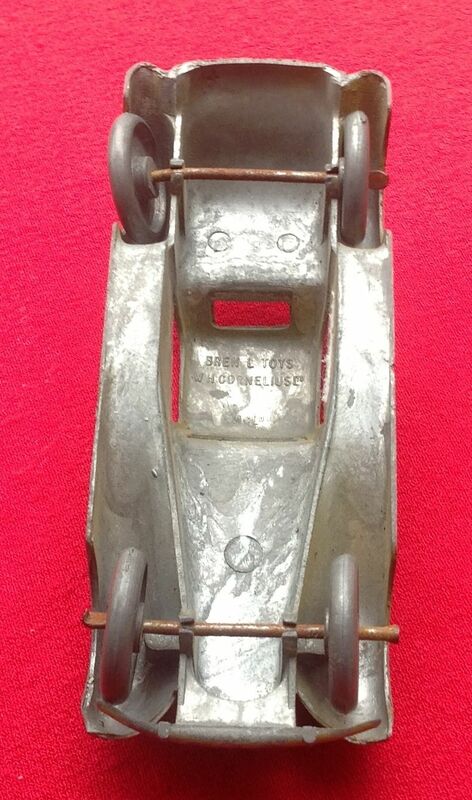 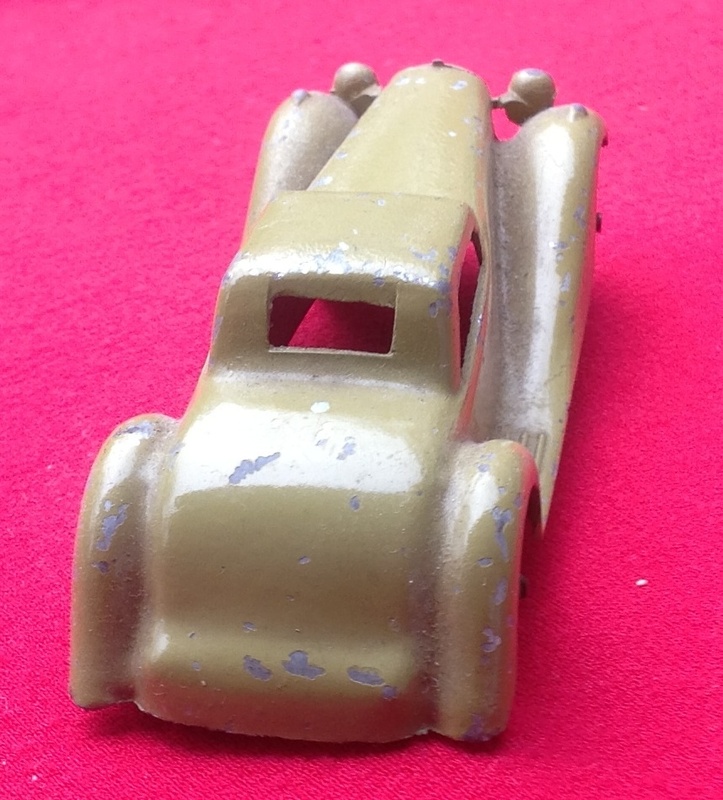 BREN L TOYS or BRENNEL Engineering Co.Ltd was a manufacturer of W.H.CORNELIUS selling agent in Paper Street - London in 1946 they produced a few die-cast toys. 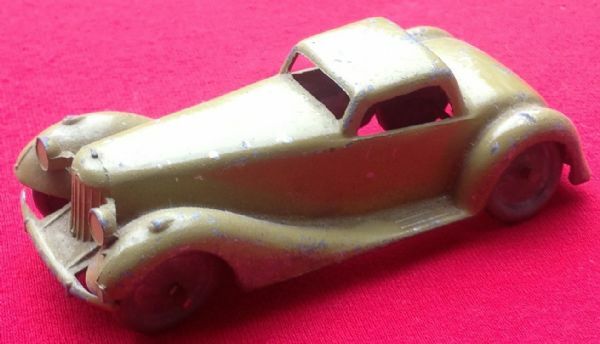 This is a coupe Bentley vey much like the Dinky Toys 36B but this model was moulded in one part including wings , radiator, bumpers and headlights.